Home/Homepage-news, News/Starch Europe is on Twitter! Starch Europe is on Twitter! 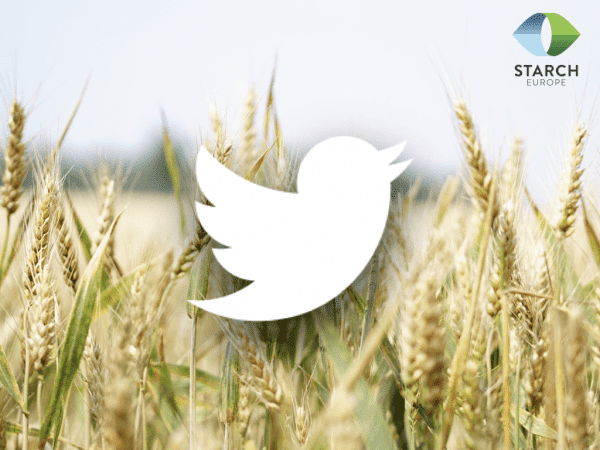 Starch Europe officially launched its Twitter account earlier this week. Follow @StarchEurope today, to learn more about our products, our industry, and the many ways in which starch is an indispensable ingredient in many of the products you use and consume every day. Starch Europe, the European starch industry trade association, comprises 27 EU starch producing companies, together representing more than 95% of the EU starch industry, and, in associate membership, 7 national starch industry associations. A partner to governments, industry and other stakeholders who support a strong, sustainable starch industry, Starch Europe represents an extremely versatile industry with a manufacturing history spanning more than 100 years and backed by decades of experience, which generates over 15.000 direct jobs and helps sustain another 100.000 on a pan-European level. To get to know our exciting industry follow @StarchEurope today.